Foundation to host school finals. The Salford Red Devils will play host to the 2016 Salford Champions Schools Finals next week, on the 25th and 26th of May. The finals see the best school teams from the area come up against each other for the title of champions. From year 7 to 11 teams from Buile Hill, Walkden High, Wight Robinson and Saint Ambrose Barlow will compete for local bragging rights after playing through six rounds of competition to reach this stage. 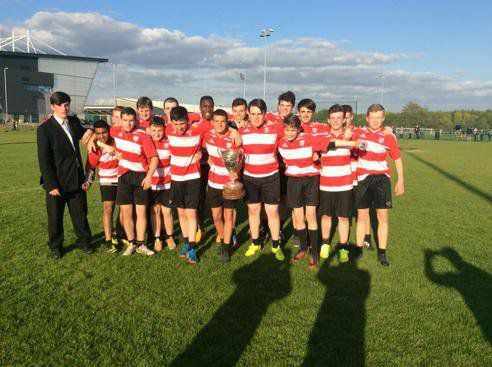 The School finals have a rich history, dating back over 40 years, and featuring players such Paul Southern and Adrian Morley who have both gone on to represent the Red Devils at a professional level. “It’s fantastic to see the school game in such great shape, the competition has so much history and I’m sure this years event will continue in the tradition of high quality rugby."